White lions have normal yellowish-brown eyes, not the pink eyes that albino animals have. 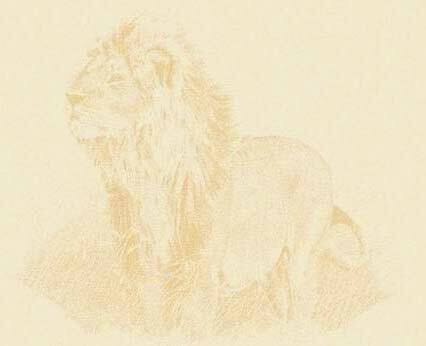 The white color is caused by a recessive gene, much like that of the white tigers of India. 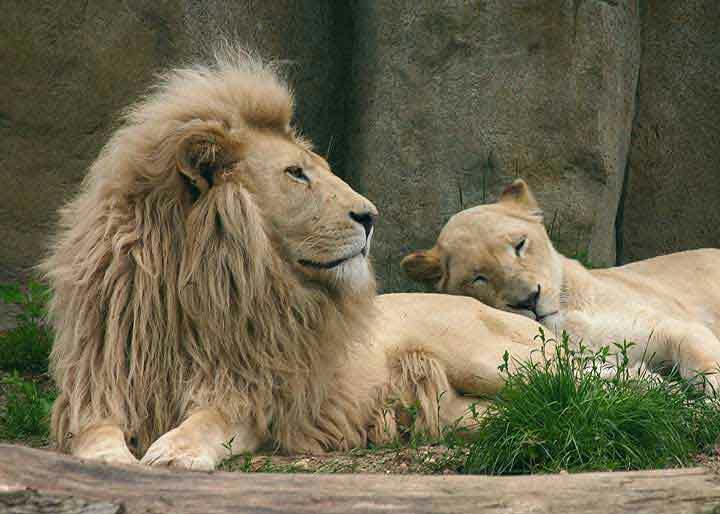 What the white lions have in common with normal lions is that they sleep a lot.